Color Green, Black, Yellow, Gray, Blue,Red and White. Huaxing Nets provide high quality Guardrail Safety Nets for all over the world. All above specifications are customizable. 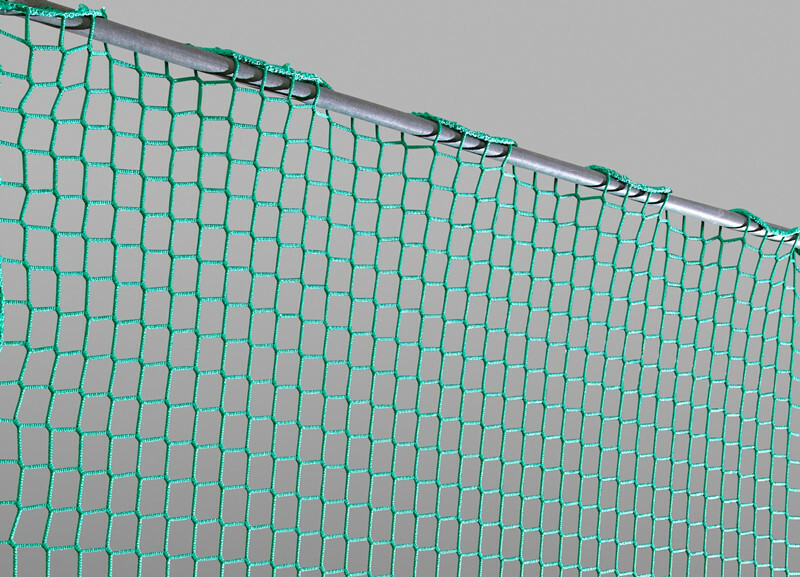 Guardrail Safety Net are made from high tenacity polypropylene (HTPP) knotless netting with square mesh. Knots are eliminated using a balanced knitted construction with filaments running continuously throughout the netting to enhance strength and durability, eliminating the stresses of stitched construction found in conventional web nets. HTPP fiber is highly resistant to abrasion, light weight, and is resistant to moisture and chemicals. OSHA 1926.500-Subpart M requires guardrail and toeboard systems on all open-sided floors, platforms, runways, wall openings, holes, roofs, excavations, and machinery areas. Additionally, when equipment or materials are piled higher than the top edge of a standard toeboard, debris netting must be installed from the top rail to deck level to provide overhead protection for employees working below. – The net is made-to-measure depending on the space, shape and use. 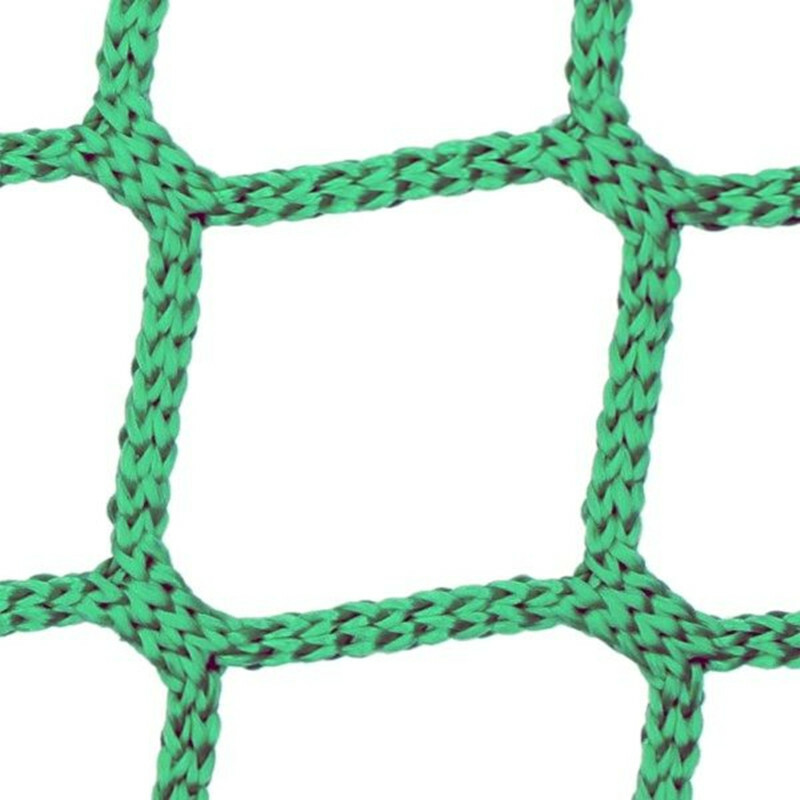 Several types of netting are available : braided or knotted. – Braided netting is generally used for horizontal nets as the netting has a soft and confortable surface for lying down or relaxing, whereas knotted netting is rougher therefore used for vertical nets. – For quick and easy installation, it is better to order a net without a bolt rope (6 mm in diameter rope around the net). Without the bolt rope you will be able to cut the net to size with a pair of scissors and then place the netting onto hooks, that we can provide, that is to say stainless steel hooks. – It is essential to fully stretch the net, so that when you place your hand on it, you feel some resistance. This also makes the net visually more appealing as the squares will be evenly placed. Huaxing Nets recommends and designs made-to-measure interior nets. You can choose the material that your net is made from: polyester, polyamide or polypropylene, with different types of netting, knotted or braided with different sized openness. Please write to us if any questions.